The problems of human suffering that Jesus highlights in this passage have always existed, but nonetheless it is striking how relevant His words are to our own society and time. We live in a world where the rich are getting richer and the poor are getting poorer—and if you’re an American, you’re among the richer, no matter how poor you may feel. Elsewhere around the world, people are literally dying for lack of the basic necessities of life: food, clean water, shelter. Numerous humanitarian crises threaten the lives and safety of men, women, and children on a daily basis. Earthquakes in Nepal. War refugees in Syria. Ebola in West Africa. Drought in Central America. And what are we, the citizens of this most favored nation, this “Christian” nation, doing about it? Most of the time, we’re unaware of these crises because we’re too focused on our own problems. And to be fair, our nation does face challenges, though I would argue that on the whole we’re much better off than many others around the world. But our track record of dealing with our own problems suggests that even if we were aware of the suffering of others, we might not be first in line to help. We accuse our own poor of being lazy and selfish. We claim that they’re just waiting for their next government check because they’d rather live on welfare than put in the hard work to improve their situation. We think it’s a crisis when a water shortage leads to brown lawns. We have no idea what it’s like to lack access to clean drinking water. We fight political battles over healthcare laws and resent the fact that our tax dollars are being used to fund someone else’s health insurance. We live in the most incarcerated nation in the world, and despite damning evidence that our criminal justice system is anything but just, particularly for minorities, we still insist that we need to get tougher on crime—in other words, give more power to a system that is already abusing the power that it has. What malady ails us that we fail to see the suffering of others, and if we do see it, to blame others for their own problems? It is a lack of empathy for the other, those who are different from us, who have walked paths we do not know, who have suffered tragedies we can only imagine. We call Jesus our Savior and Lord, but we fail to see others as His brothers and sisters, the least of these though they may be. Jesus said the other is our neighbor and is deserving of our help. But we prefer to divide the world into us and them, with them being the other, the ones we don’t recognize as our neighbor. 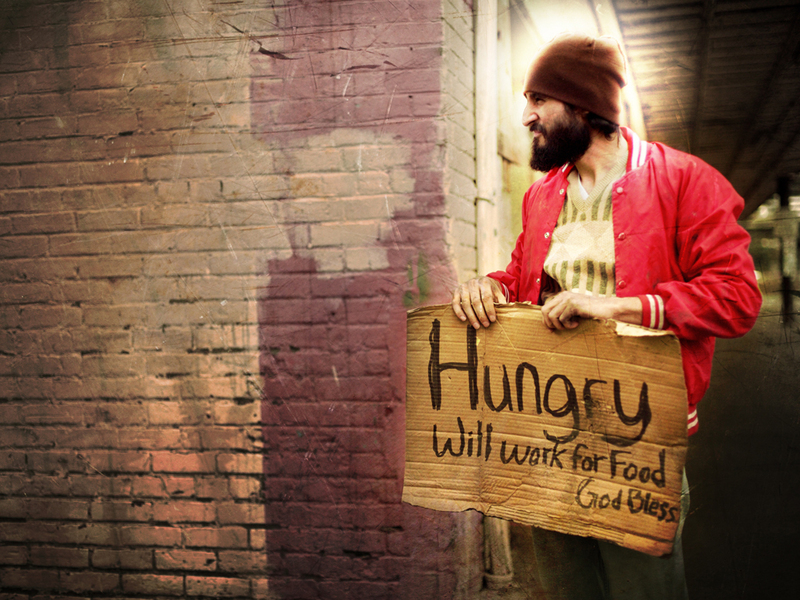 For I was hungry, but you told me to get a job instead of expecting a handout. I was thirsty, but you were too busy checking the sprinklers on your lawn. I was a stranger, but you told me to go back to my own country. I was naked, but you were filling your closet with designer clothes. I was sick, but you told me that healthcare is a privilege, not a right. I was in prison, but you left me there to rot because you think I deserve it. I tell you the truth, whatever you did not do for one of the least of these brothers and sisters of Mine, you did not do for Me. Jesus’ words in Matthew 25 are a rebuke to us when we disregard the needs of the poor, the immigrant, the refugee, the minority, the abused, the sick—anyone who is among the least of these. But let us not shrink away from the rebuke, “because the Lord disciplines those he loves” (Heb. 12:5). Accept the discipline, and repent. Learn to see others through Jesus’ eyes. And do for them as if you were doing it for Jesus Himself.